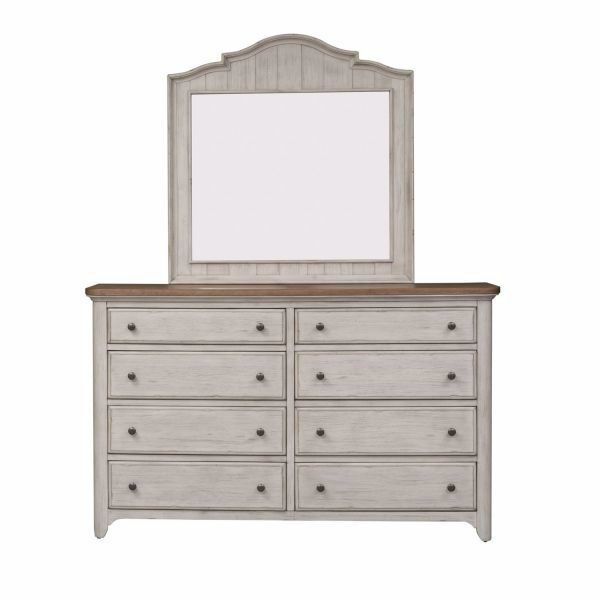 Create your dream bedroom with the vintage styling of the Farmhouse Dresser & Mirror. The engaging look is produced by the dresser's 8 generous drawers, chamfered drawer fronts, chestnut tops featuring wire brushed distressing, and delectable antique white finish with antique brass knob hardware. Bottom drawers are cedar lined. The tastefully styled picture-framed mirror with its arched top and beveled glass completes the look.